This Is the perfect outfit that goes with my flower crown. We are still experiencing An extremely hot climate in the Philippines that it feels like summer September so as much as possible I wanted To wear light colored clothes. The lace top do the trick too. What do you think? 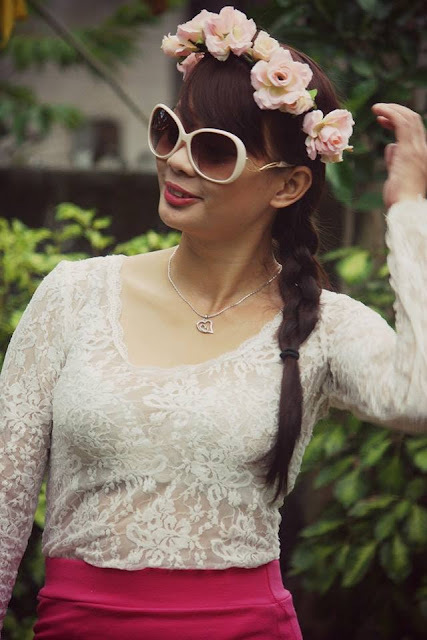 cute floral crown! and thank you for commenting, of course i would love for us to follow each other. followed on GFC and Twitter. Thanks for visiting my blog and leaving that lovely comment, I would love to follow your blog too! I followed you already on GFC and Bloglovin', just waitin for your follows back now! I totally loved this outfit! amazing choice. I love the whole look, specially the shades of pink. Lovely flowerpiece!! You look amazing. Sure we can follow each other! Following you on GFC, Bloglovin and Facebook now, hope you follow back! I totally approve of the flower crown (as you can see from my latest posts on my blog). Your sandals and jewelry really complement the colors in the look. OH,I LOVE your outfit,you are extremely beautiful! I am your newest follower and I would be really happy if you like my blog and decide to follow me back:)Thank you in advance! 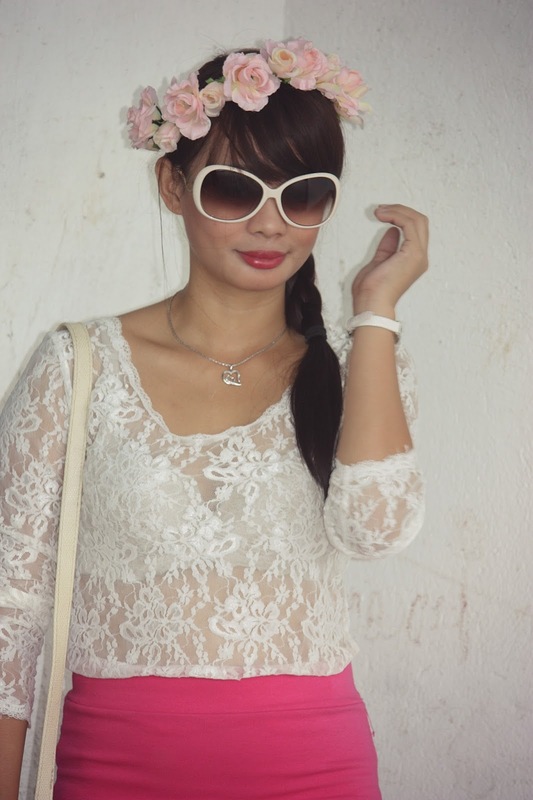 thanks for stopping by on my blog..
so cute loved the crown!!! Even though the fact that the flowers are beautiful, but they are not governed by chance. Creative fresh flower arrangement improves the look of fresh flowers. fresh flower arrangements is an art. Fresh flowers may be a requirement appeal.Fresh stylish flower arrangement can affect all shiny and glossy look depressed mood . do you borrow your flower crown?